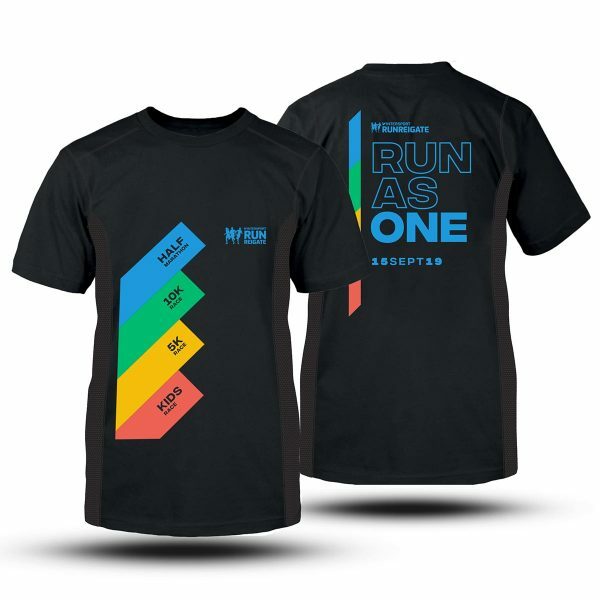 Look your very best as you train for Run Reigate 2019 with our special training top, available in sizes XS to XXL. Order now, very limited quantities available. Your Run Reigate training top will be sent by first class post to you 12 weeks before the event to be perfectly timed with your 12 week training program. 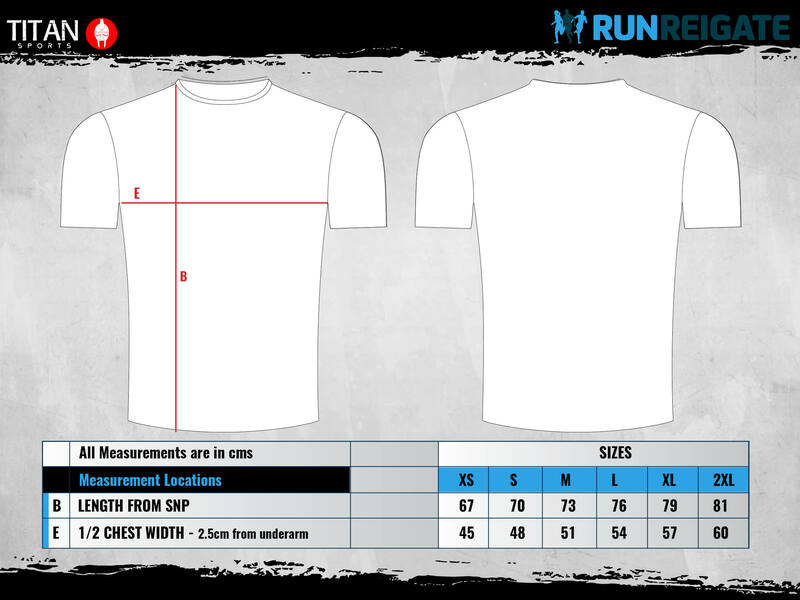 Please choose carefully and refer to our sizing guide below. These T-shirts are a unisex fit so please choose your size carefully. We advise you to order the size you normally would in any store i.e. if you are normally a medium then order a medium! Half Chest – take a favourite-fitting garment, lay it flat, and measure across the front as described below about 1cm below the armpit. Match this measurement to the “half-chest” measurements in the sizing table to choose your size – for example a garment with a half chest measurement of 50cm would be skin-tight on a person with a 100cm chest.